Part of a garden planted by Architectural Plants. 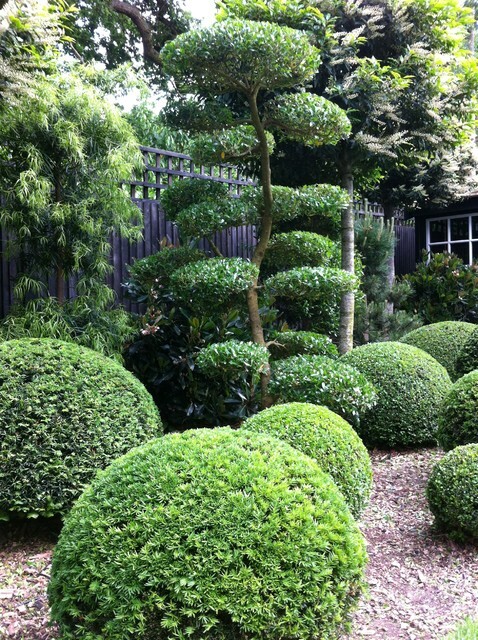 Buxus balls with a Phillyrea latifolia Niwaki in the centre. On the left you can see Podocarpus salignus.